Although large-scale construction and remodeling jobs are a lot of fun for us to do, because that is where we can be the most creative, along with you, we are happy to take on smaller replacement and installation jobs. We fill in that gap that perhaps a larger contractor doesn't want to take on and yet is too large or precise for a handyman. You do want to have an experienced, state licensed and insured expert doing your construction, remodeling or fixing in your home or office. If all you need to do is install crown molding, we can do that for you. 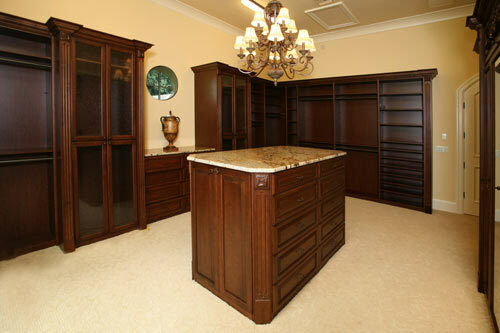 You may need to move a doorway to a different location, in order to make the most of your home or office space. Or perhaps you want to close off a door or window. We can do trimmings, shelves, touch-ups, or replace any fixture in your home that needs to be replaced, and not only that, but we can do it taking into account your health and the environment, since I (Dawn Burke) am a Certified Green Professional. Through the National Association of Homebuilders I am always up to date with the latest Green technologies and applications. For example, we use aloe Vera paint or stain, for the simple reason that the smell of paint stays in a room for 6 years. The same applies to the emissions of a new carpet. This is something that not everybody is aware of. The pricing of Green products is dropping and they have significant health and environmental advantages, so I would suggest that you at least consider that when constructing, remodeling or reinstalling. My husband and co-owner of the company, Bill Burke, is Certified as Florida State Licensed Building Contractor, Plumbing Contractor, Lead Renovation Repair and Painting. You may not be aware that in the State of Florida you cannot work on a property built prior to 1978 because of lead and paints and products unless you are certified to do so. Bill is also state-certified as a Class 3 New Residential Rater. This means that he is certified to review house plans to make sure they are energy-efficient. He can then make the pertinent adjustments to help the home owner save energy. So, whether you are doing a large job or a small job, you can rest assured that we have the know-how, the certifications and the means to do it. Give us a call so we can discuss your needs and see what your best options are.